The newly inaugurated Governing Council of the agency has accused Mr Yusuf of misleading it to act against the policy directive of government, by fraudulently obtaining its approval to invest the sum in securities. The council also said the Executive Secretary concluded the arrangement for the investment before seeking its approval, contrary to the laws governing the scheme, and ignored key conditions it attached to the approval. Mr. Yusuf was suspended by the Minister of Health, Isaac Adewole, in July 2017, following allegations of gross misconduct. The minister then set up a panel to investigate the allegations. The panel reportedly indicted the Executive Secretary, following which the minister forwarded the report to the presidency. But in February, without informing the minister, President Muhammadu Buhari reinstated Mr Yusuf into his office. The development ignited an uproar, with a group of workers staging a protest at the agency against the return of the executive secretary. President Buhari later summoned the minister and Mr Yusuf to a meeting at which he urged them to bury the hatchet and work together in the interest of the scheme. Earlier in December, the president appointed a governing board for the scheme, alongside those of 208 other federal parastatals. In February, he directed ministers to inaugurate the boards of agencies under their supervision. That directive was carried out on March 6 at the NHIS when the governing board was inaugurated with Enyantu Ifenne, a medical doctor, as chairperson. However, much earlier in August while Mr Yusuf was still on suspension, the minister gave approval to the acting Executive Secretary of the scheme, Attahiru Ibrahim, to invest “idle funds” of the agency in federal government securities. Commence effective immediately, starting with the sum of N10 Billion Naira (sic) up to the tune of N50 Billion Naira (sic) investments in Federal Government Securities at prevailing market determined yields. Engage the services of any of the regulatory bodies certified investment counter parties; Cowry Asset Management Limited, Finmal Securities Limited or Elixir Investment Partners Limited to advise on the investment options and seamlessly execute same. The investment actions and the expected returns should be captured in your 2017 budget estimates. However, 11 days later, the minister wrote again to the acting Executive Secretary to reverse his approval. “This is to inform you that the Honourable Minister of Finance has advised against the proposal to invest NHIS residual funds in securities. The approval of such investment, she stated, will be an indirect violation of the Government’s Treasury Single Accounts (TSA) policy. “In view of the above, the Central Bank of Nigeria (CBN) has been advised to pay Treasury Bill rates on any residual balance held in the TSA with CBN for Investment Trusts. The later letter appeared to have put closure on the idea to invest the NHIS “idle funds”, until Mr Yusuf regained his office in February. 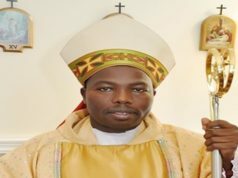 Documents revealed that shortly after his reinstatement, he engaged one of the certified investment firms, Cowry Asset Management Limited, as financial adviser and directed it to proceed with the investment, relying on the original letter of the minister conveying approval but ignoring the other letter withdrawing the approval. He directed that N25 billion be invested in five tranches of five billion Naira each and to mature in 2034. According to insiders at the NHIS, this was also in defiance of advice of officers at the agency, some of whom later decided to frustrate the process pending the inauguration of the governing board. He asked the council to approve that the NHIS management immediately commence the process of investing the residual funds in federal government securities and give progress report of the investment to council from time to time. Following the council’s resolution, Mr Yusuf on May 3 wrote Cowry Asset Management Limited to inform it that the council stated clearly that “there should be no payment of any commission to a third party” for the investment. After the approval, aghast insiders at NHIS made the council aware of the advice of the minister against the investment when the idea was initially muted in 2017. Irked that the executive secretary had only presented to it the initial letter of the minister conveying his approval, it directed that no further action be taken on the investment. The council also issued Mr Yusuf a query for misleading it to give approval for a course of action that is against the policy directive of government. The council said Mr Yusuf withheld from it a letter from the minister which expressly stated that the Minister of Finance advised against investing NHIS funds in securities. It also accused the executive secretary of engaging the financial adviser without stating the terms and conditions of engagement. 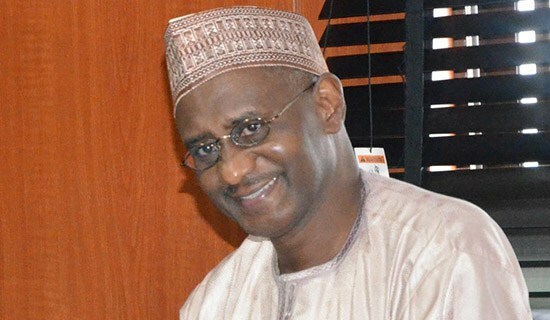 Other charges are that Mr Yusuf approved “wholesale” the proposal of the firm he engaged as financial adviser on the eve of the inauguration of the council, and directed a general manager of the scheme to expedite disbursement of N25 billion for long-term investment without obtaining prior approval of the Minister of Health as required under the NHIS Act. He was also accused of engaging the investment advise on “vague and elastic terms”, and instructing an official to process the firm’s engagement without further reference to council for approval. It directed him to present his explanation to council at its meeting scheduled for June 12. That meeting, however, did not hold on that date due to other reasons and the council is yet to announce another date for the meeting.